It’s the beginning of the new year. Is it the beginning of your Marfan journey? If you just heard the words “Marfan syndrome” for the first time, you may feel like your world has been turned upside down. Now what? Here are six things you need to do after getting diagnosed so you can get on with your life. Don’t get overwhelmed by the diagnosis. Understand the reality of the situation, but know that you are not in unchartered territory. Put your medical team in place. Understand that you are in control and can live a long life with Marfan. 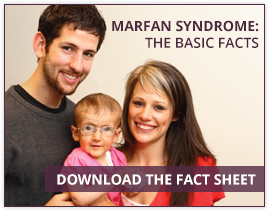 Talk to others with Marfan syndrome for support. What were your other immediate concerns? What was the best advice you received?